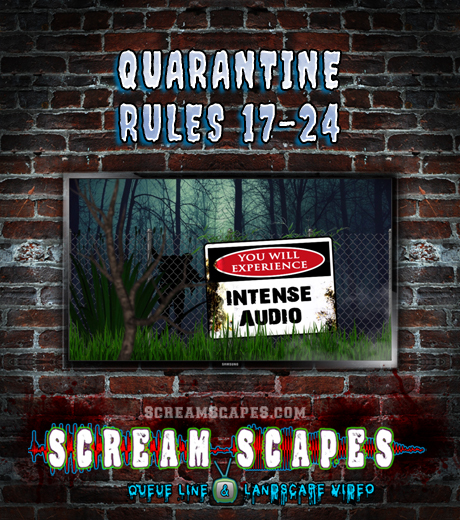 Mix & Match any Rules, Warnings or Monster Trivia from ScreamScapes to play in your Queue Line Video. Over 30 Minutes of content. Note: Media Player Included. 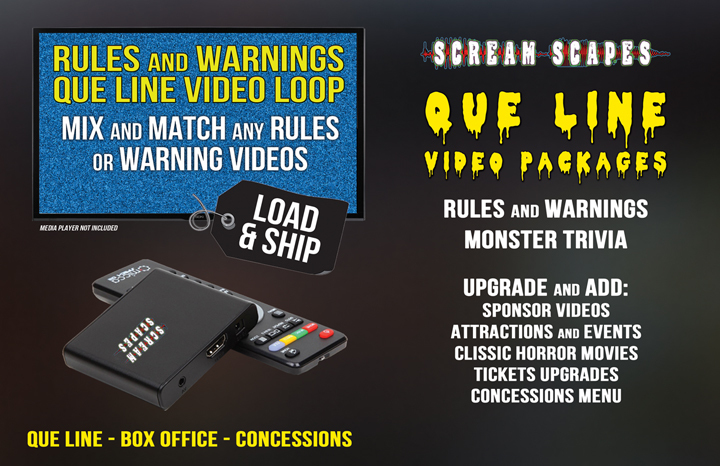 ScreamScapes provides Queue Line videos for Haunted Attractions ranging from Warnings, Rules & Payment Options to Monster Trivia, Halloween Havoc & Customized Messages. 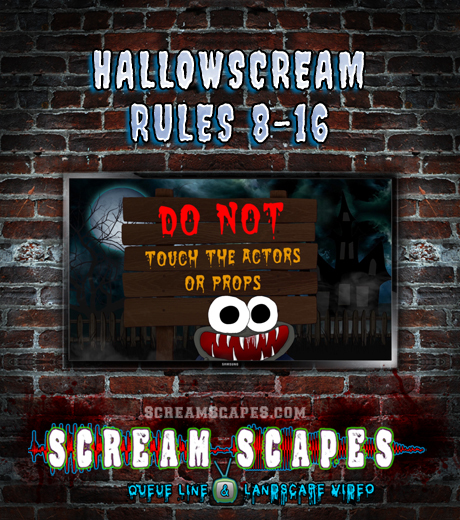 Haunts generally dedicate an actor or crew member to announce a lengthy list of Rules & Warnings ever couple of minutes. Not only does this create an extra position that must be filled each night but it also creates additional costs, scheduling and/or training. 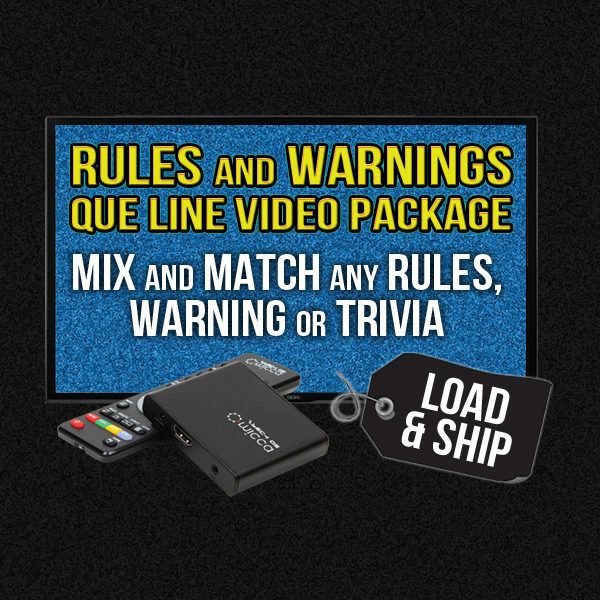 Reading your Rules & Warnings will cause inconsistent information for your guests as the announcers may forget or leave out important details due to repetitiveness or boredom. 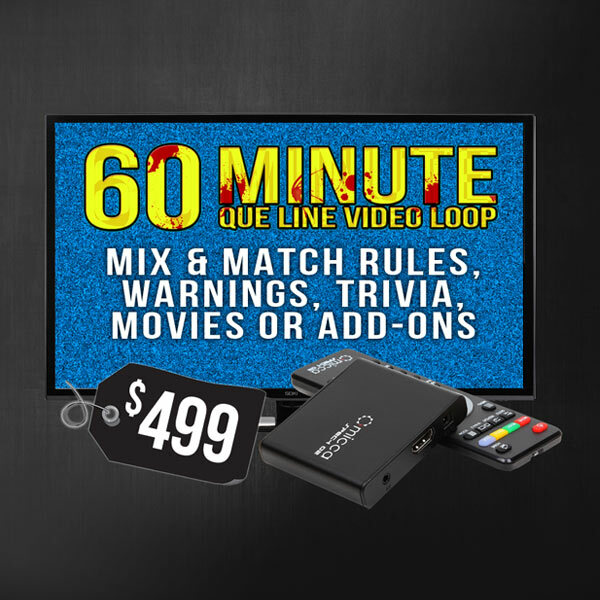 Queue Line videos play on a loop allowing you to free up a position, save money and always deliver accurate and consistent information to your guests. 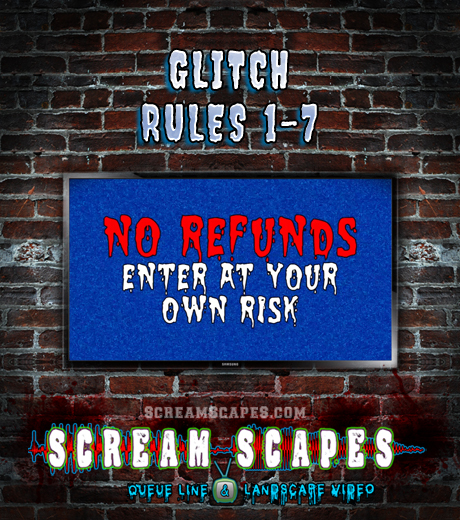 We can order the correct Devices and Accessories to ship directly to your Haunted Attraction. We also offer FREE phone support to hook everything up. Video tutorials will be available shortly. After you have your Custom Queue Line Video you need a few more things. In depth tutorials coming soon. Any size HD Flat Screen TV with at least one HDMI Port will work to get started. Videos generally come in a Custom Theme with unique Animated Backgrounds, Fonts and Color Schemes that are ready to loop in your Queue Line system. 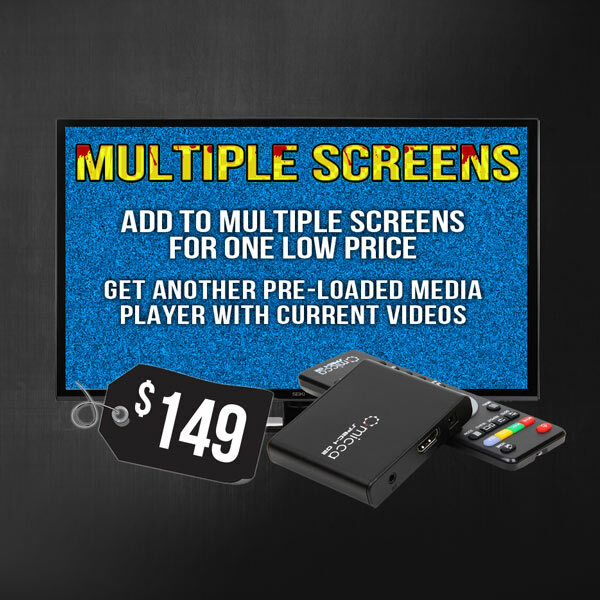 However, we offer them in combo and single short clips along with a Customization Template to create your own videos.